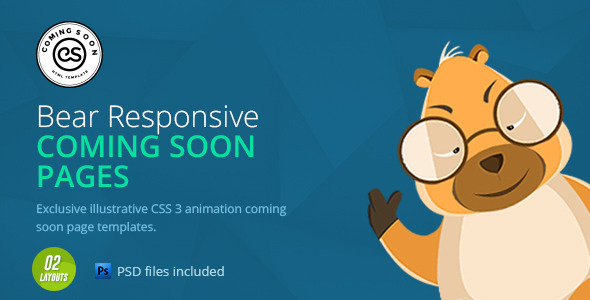 CS: coming soon page is a beautifully animated HTML5 responsive template based on Twitter Bootstrap 3, this can give any website a unique look and you can easily change pages or make more pages out of this collection. All the Art in the Demo also comes with this pack, as they are exclusively designed and created for this collection. We have also included a detailed documentation to help you out. And there is always our Support Forum in case you need any more help.